No. 3 men's lacrosse opens NCAA Championships with a bang, defeats Plattsburgh State 23-10. No. 1 men's lacrosse suffers first loss of the year, falls 14-13 to No. 6 Middlebury in NESCAC semifinals. ..."We had great wing play all the way around," Madnick said. "Our ground balls were awesome and (Charles) Midgley played really well in net. The faceoffs were definitely huge, but we had a lot of help around that contributed to that." Bates tried a couple different faceoff men of their own. "We threw Jack O'Brien with a long stick out there, maybe he could cause a turnover if they won it, and he actually did the first time." Bates College coach Peter Lasagna said. "But their kid is great, their kid was fantastic and he had a great game. That's certainly a big part why they are advancing. They beat us when the ball was on the ground. Their goalie played great, they played great in every phase." Men's lacrosse topples Amherst 26-14 in third round of NCAA Championships. ... "As a team, coach (Peter Lasagna) always talks about peaking at the right time," Chlastawa said. "I couldn't think of a better time of playing the best lacrosse (of the season)." Fay had a career game — setting the school's career scoring record in the process. His eight goals on the afternoon put him at 160 for his career. Shane Kororuda (1992-95) held the previous mark with 158. Fay also surpassed the 70-goal plateau for the season — he now has 72. Weber, meanwhile, chipped in with four goals. "As we have talked about on this field number of times, we have a lot of people you have to defend," Bates coach Peter Lasagna said. "If you are going to leave someone open, we are going to find them." 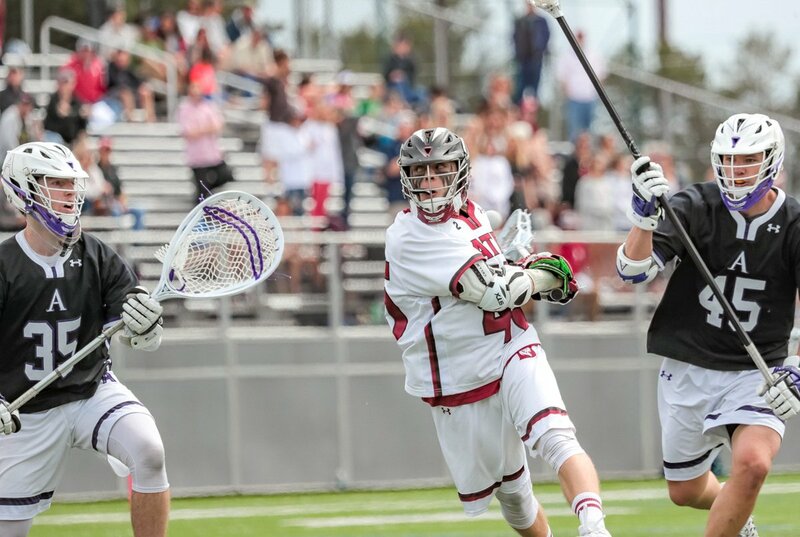 MLAX: Bates/Wesleyan NCAA Quarterfinal set for Wednesday 4:30! Game is at Wesleyan, not Bates.